I made this salad a couple of weeks ago after seeing something very similar on the internet somewhere; unfortunately I can’t find the post despite an awful lot of searching. Anyway, it was awesome because usually when I make quinoa, Mark puts five grains – I’m not kidding, five grains – of it on his plate for his serving, because I yell at him if he doesn’t take any, but he gobbled up an entire bowl of this with nary a complaint. In fact, he discovered this spring that he loves fresh fava beans, which I’ve included in the salad, and he therefore sang its praises. Put the quinoa and water or broth into a saucepan and bring to a boil. Reduce heat, cover, and let simmer for about 15 minutes or until quinoa is cooked. If necessary, drain off remaining liquid. Return to the pot, cover, and let rest for 10-15 minutes. Meanwhile, bring another pot of water to boil. While it’s coming to a boil, remove the fava beans from their pods. When the water is boiling, put the beans in and let boil for 30-60 seconds. Drain and immediately plunge the beans into an ice water bath. When cool, pop them out of their skins – I stick my thumbnail into the skin to make a hole, then pop them out. When the favas are peeled, hit a small amount of oil in a small skillet, then saute the favas with a little salt, until they are cooked through, about 3-5 minutes. 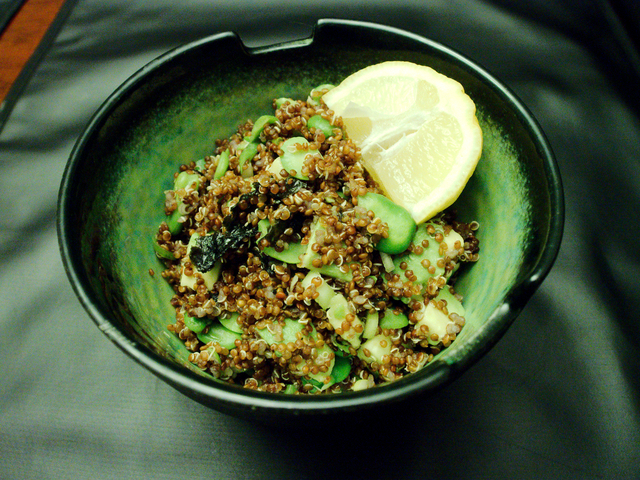 Stir the ponzu into the quinoa. Toss in the favas, avocado, and nori. Serve with lemon wedges. Feel virtuous eating it. And now a wildlife update. Whenever I send my parents a link to a batch of pictures, if there is a snake in any of them, my mother always responds, “Gross, a snake!”. If she ever ran across one in her travels, I imagine she’d very quickly head in the opposite direction. 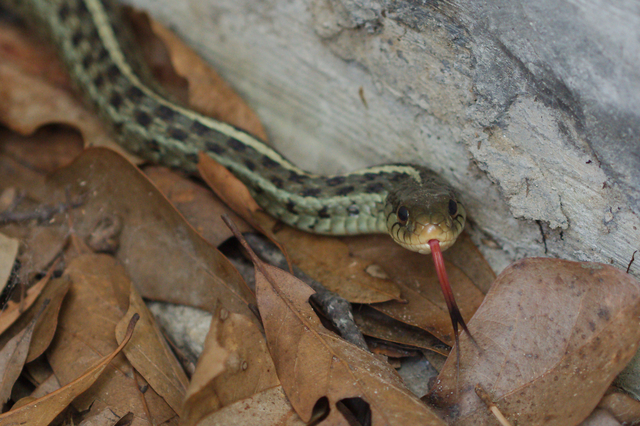 When I, on the other hand, see a snake, I calmly toss my bag on the ground five feet away, switch lenses, and stick my camera in its face. Look at this handsome little fella! 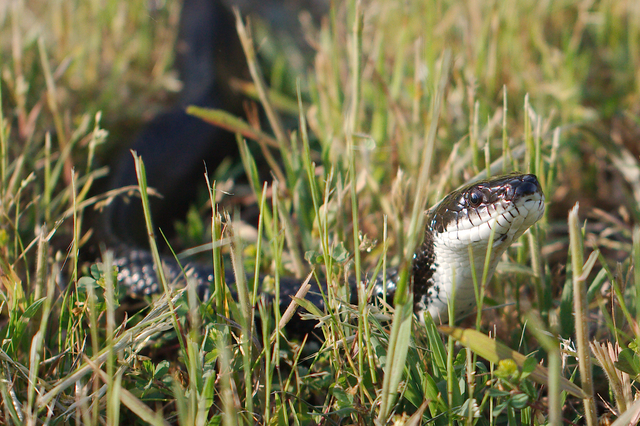 Well, maybe not so little – this is a black rat snake, one of the largest in this area. I love trying to capture them with their tongues out. I wouldn’t say my mother-in-law is overly fond of snakes either. When she spotted this snake in her yard last week, she rushed into the house to identify whether or not is was poisonous. 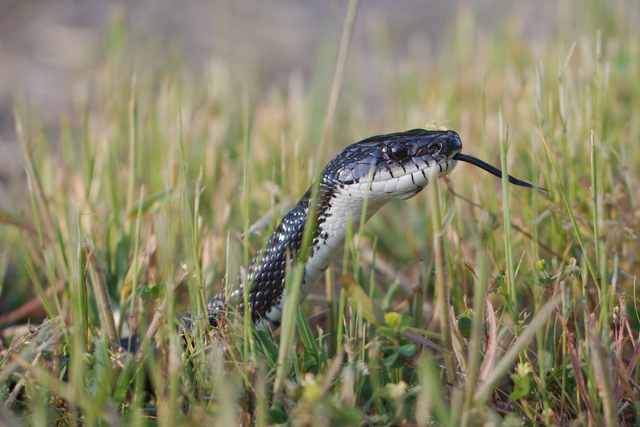 Meanwhile I rushed up to the snake with my camera! It’s an Eastern garter snake. Not only is it not poisonous, but my mother-in-law decided I had actually made it look “cute” in my picture! Speaking of my mother-in-law, as some of you may know, she lives in Charleston, SC, so obviously if I was lurking around with the snakes in her backyard, Mark and I were in Charleston ourselves last week. We were preparing for the beautiful wedding of Mark’s lovely cousin, so we didn’t have time for our usual sightseeing, but we spent a lot of time in the park with the dog and for the wedding. 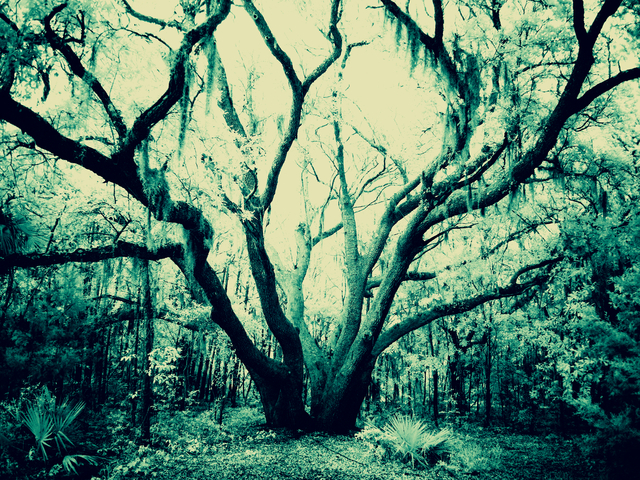 Here is an infrared shot of a wonderful oak that’s in the park. Last night was yet another time I wandered off to Occoquan Bay NWR more for exercise than pictures. I’ve learned my lesson, though, and always take the big camera and the big lens just in case. I was also extremely glad I thought to pack my macro lens, which garnered me those rat snake pictures above (and some even more exciting ones below), but the telephoto came in handy for the obligatory osprey shot. And guess what! 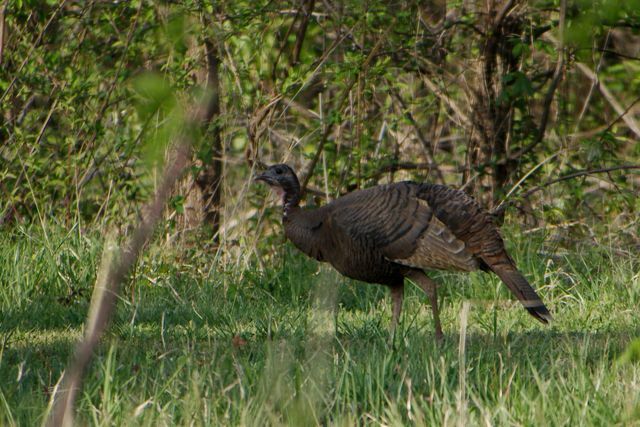 I got another turkey picture! 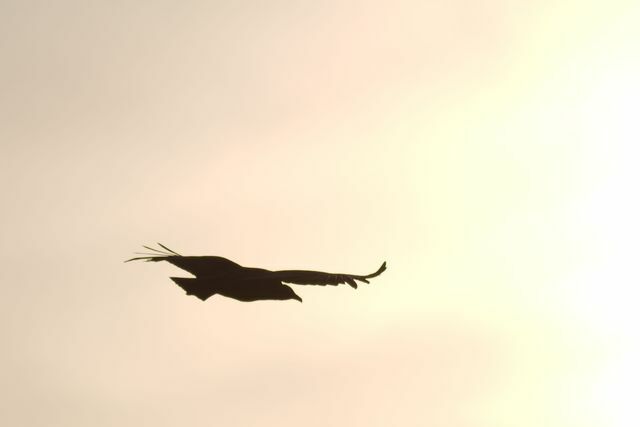 Just prior to sunset is the time to find them, apparently. 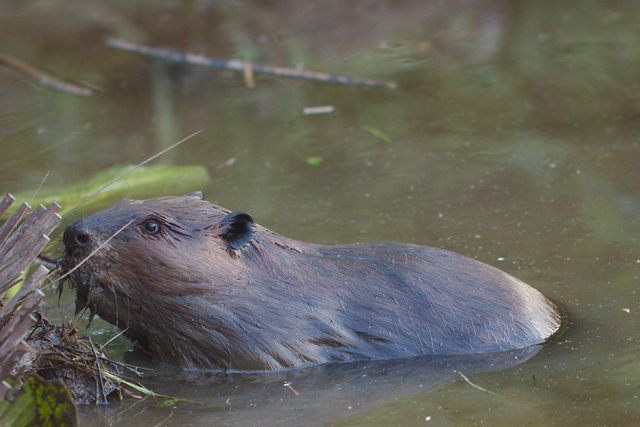 The absolute best, though, was…the beavers! Because these are my first beaver pictures ever! 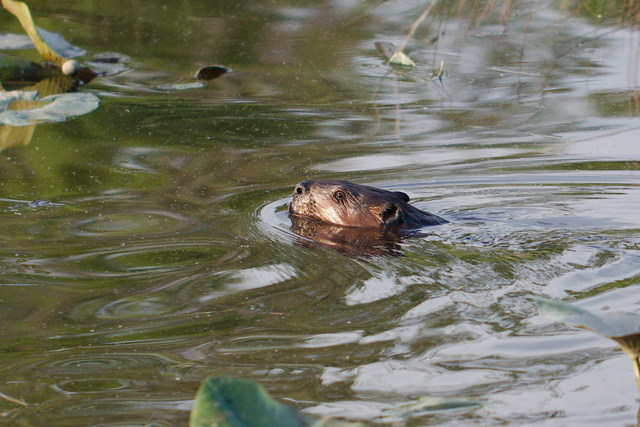 I’ve only ever seen the very quick blur of a beaver once last summer, but last night I was very lucky. I guess I approached the creek so quietly (and I was literally the only person in the park at the time) they didn’t notice me at first and I was able to watch a couple of beavers actually working on their dam. They are so cute and funny! For several minutes, they seemed totally cool with me – and this picture was taken with my macro lens; he’s only about six feet from me. After a while, though, they got nervous and started going away. One of them was under water and surfaced right in front of me, saw me, freaked the hell out, and ducked back into the water so fast I started laughing out loud. I didn’t mean to scare him, but the look on his face was priceless. Wish I’d been able to get a picture of THAT. Once he booked it out of there, that was the end of the beaver show, but I was giddy. Is it weird that just seeing animals makes me ridiculously happy? Like, I can truly say that getting to see beavers was the best part of my day and probably my week. I never get out that place having done any actual exercising, by the way. I mean, I get exercise from the walking, but basically I’m meandering slowly with a probably beatific look on my face taking a bunch of pictures. I’m going to dispense with all pretense of food for this post. 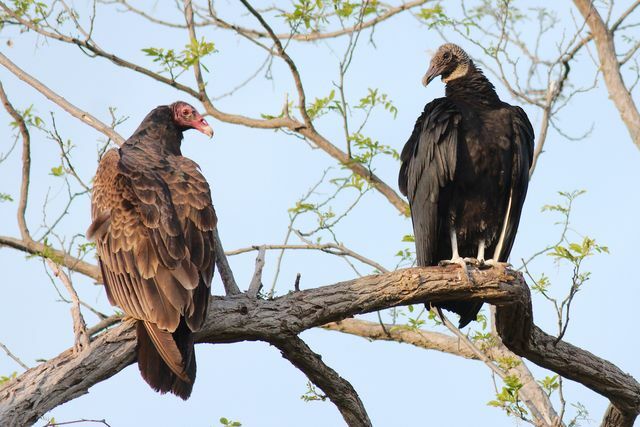 This is a very non-vegan post in that it’s all about very non-vegan beings: birds of prey, or raptors. I love them! I’m just fascinated by raptors. 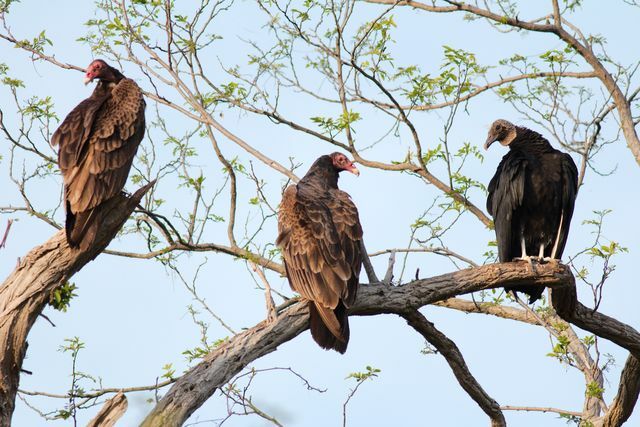 So when I somehow stumbled over the Capitol Photography Center website while looking for something completely non-related and found an upcoming “raptor photo safari”, I was all over it. This happened this past Saturday and let me tell you, it ended up being such a fabulous day. It was one of those days where you don’t win the lottery or anything obviously fantastic like that, but at the end of the day you look back and realize, “I did everything I love today!”. I think there are a couple different schools of thought when it comes to wildlife photography: one feels that it’s easier and safer to photograph captive animals, and also more interesting in that you have access to many animals you’d never see otherwise, while the other feels that there’s no challenge in captive animal photography. I am more a member of the latter school, although most of that is because I don’t believe animals should be in captivity in the first place. I don’t go to zoos, which rules out nearly all of my chances of seeing captive animals…I’m the rare specimen for whom it’s easier to find wild animals than it is captive animals! Well, other than captive raccoons, but all of our raccoons eventually become wild. 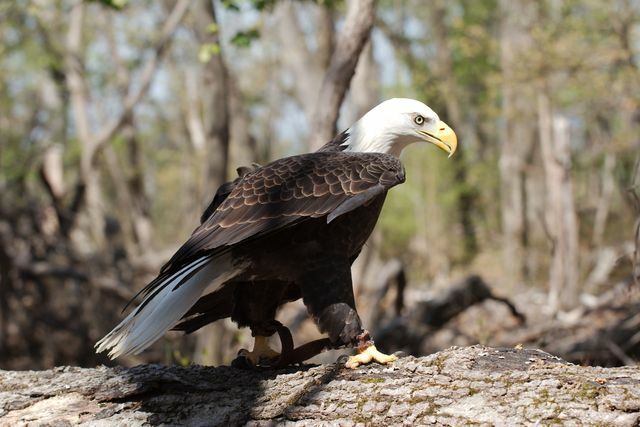 I was interested in this particular photo safari, however, because it was held at a nature center where they presented several different raptors for us to photograph in a natural setting, which would allow me to get much closer to them than is generally possible. All of the animals are “education animals”, which are injured animals that have been rehabbed but are non-releasable for various reasons. I don’t have a problem with education animals being held in captivity. It’s either that or euthanasia for them and all the ones I have met have been well loved and cared for. I go to a lot of trainings and the like where I see education animals, but mostly they are being held by handlers and we are indoors – doesn’t make for fabulous pictures. So this was a really cool opportunity. They do it a few times a year (the next one will be on my birthday – October 19! ); if you live in the DC/Baltimore area and that sounds interesting to you, I recommend it. How about some pictures, you say? Well, of course. 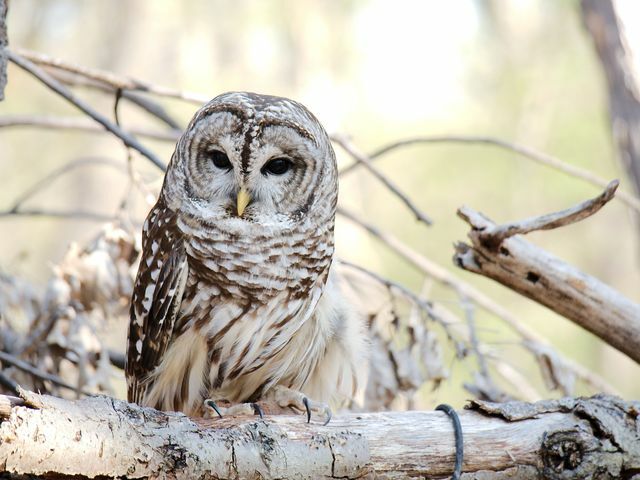 The first bird to come out was a barred owl. 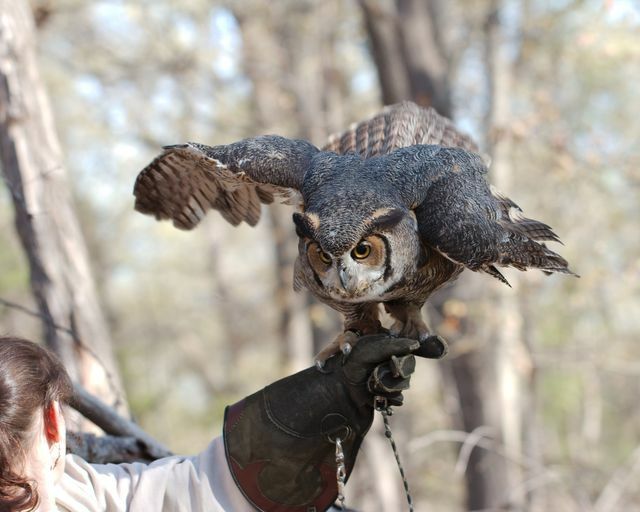 I think they said this was a male, because he was pretty small and I know that like many raptors, male owls are smaller than female owls. 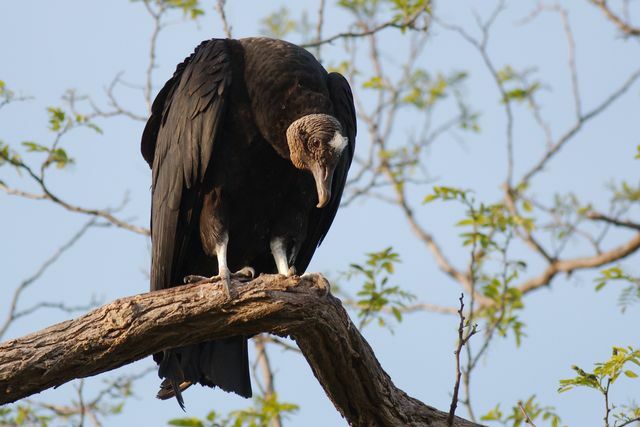 You can see the jesses in this picture – the leather straps that tether the bird in place. He had enough mobility to hop around, but not enough to fly away. 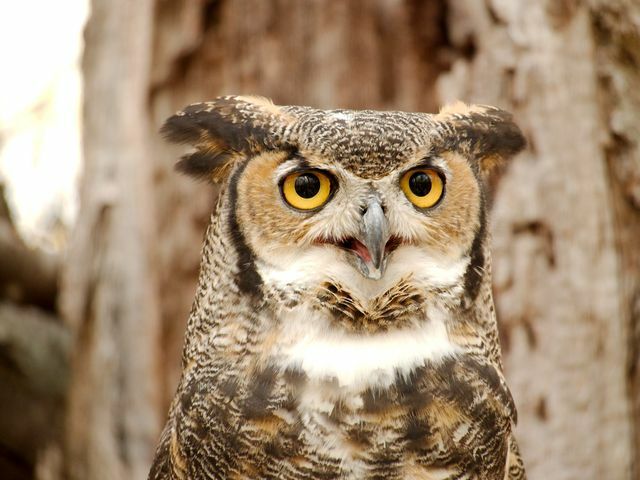 This is why I love Great Horned owls – their EYES! Torticia makes this exact face at me all the time; I’ve always told her she looks like an owl when she does it. 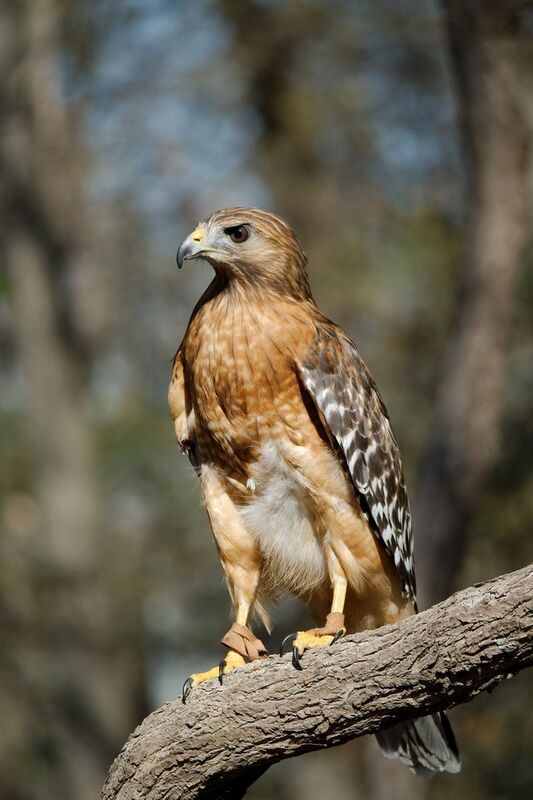 Next was a red-shouldered hawk. This one is missing an eye. 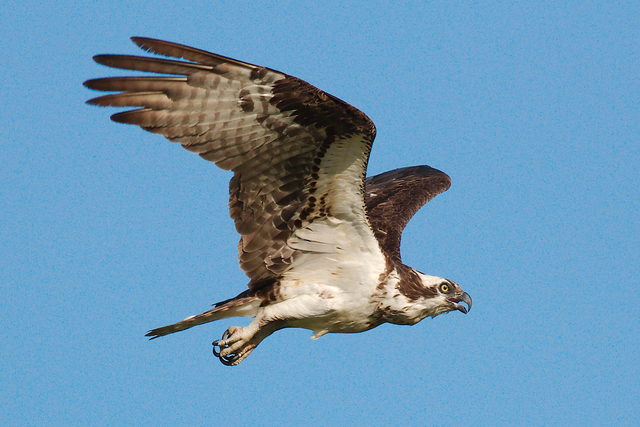 We also saw a red-tailed hawk, which is similar but larger, but I don’t seem to have uploaded a picture of that one. I must say, Mark is more perceptive than I sometimes give him credit for. 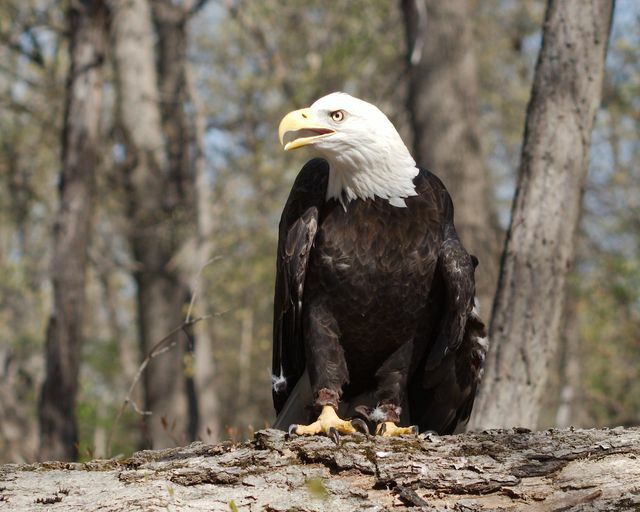 He was looking at my pictures later and when he saw the next one, he said, “this eagle doesn’t look…all there.” I don’t know how he can tell from the picture, but this bald eagle is brain damaged. Brain damage or not, he was majestic. Eagles are just special, man. Another thing about Mark is he and I think alike, which is scary. 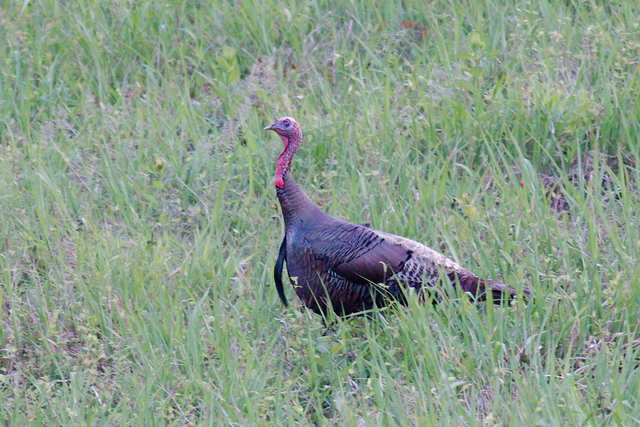 He saw the next one and said, “he’s strutting!”, without knowing I had named this file, simply, “strutting”. 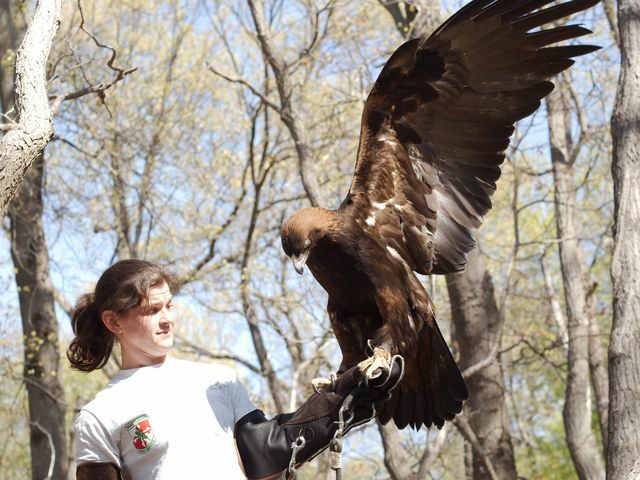 I want to hold an eagle. 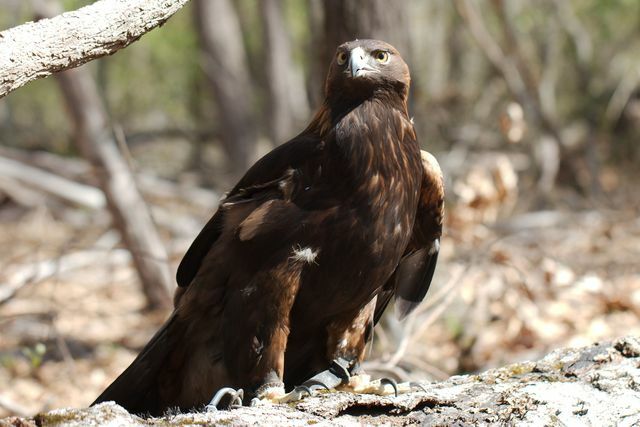 I’d never seen a golden eagle in person. This one had been shot on the Maryland Eastern Shore. WHO SHOOTS AN EAGLE??? What is WRONG with people? 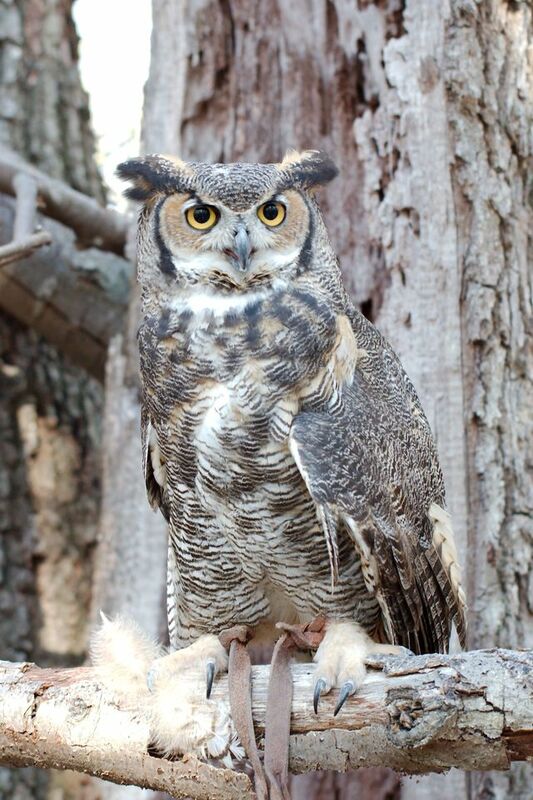 Every time I think of whoever it was who shot this animal, all I can do is comfort myself by thinking of whoever it was who found the injured animal and took it to safety, and the person who meticulously removed all of the buckshot from its wing and performed surgery on it, and the people who care for it every day. That’s one bad person and many good people. The world is a good place, right? 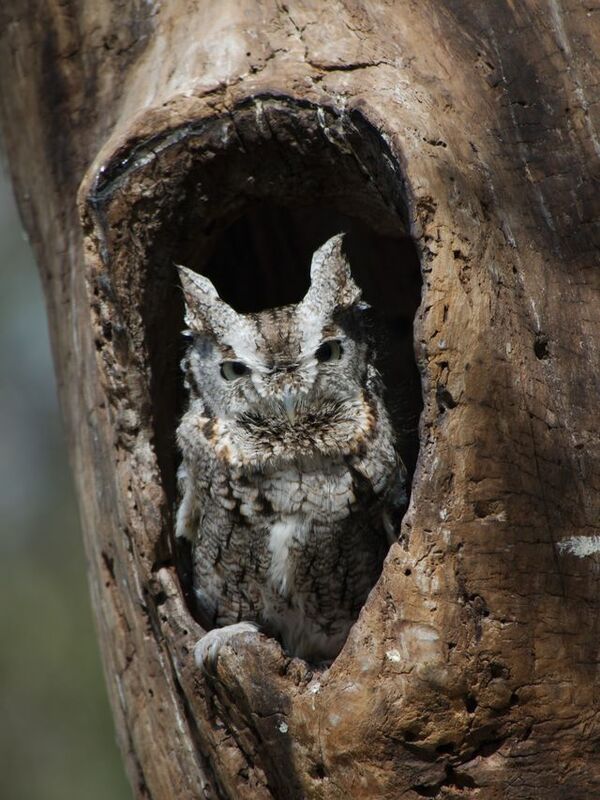 The instructor told us he had requested the Eastern screech owl for the “cute” factor. He’s so tiny!! Smaller than my cats! The handler didn’t say the peregrine falcon was her favorite animal, but she was clearly very attached to and proud of him. 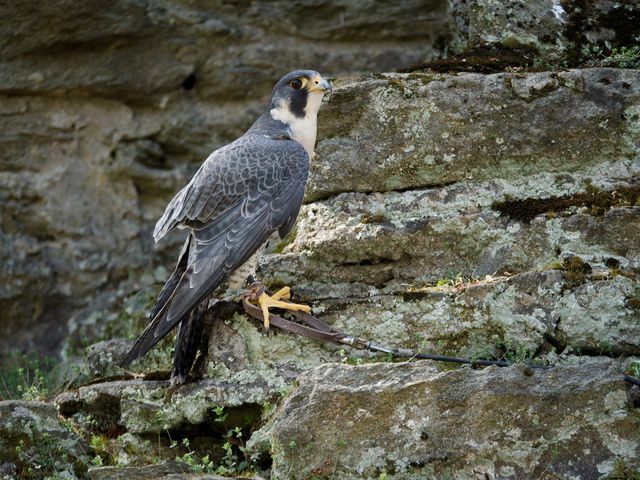 He’s 15 years old and has been all over the country, including a stint at Dollywood teaching other rehabbed peregrines how to be peregrines. I didn’t know that was even a thing that Dollywood did. Driving home from the refuge, I realized what a great day it had been, other than the waking up at 5 a.m. part. I was presented with a bunch of raptors to photograph as I pleased; the weather could only be described as “perfection”; because the photo safari was in Maryland, I got to spend hours driving my beloved convertible on a perfect spring day; I spent a couple of hours relaxing and editing pictures in my favorite chair; I went to my favorite park at sunset and got a picture of an animal I’ve been trying to photograph for a long time, and I got great shots of lots of vultures. AND I was exhausted when I got home – the best kind of exhausted – and Mark surprised me by making dinner. That, my friends, is my idea of a GREAT day! And guess what – my next post WILL have a recipe.